Advent calendars always make the holidays a bit more fun! With so many to choose from for any interest, ranging from sports to beauty to food, you can find one for everyone in the family! Here are some of the best ones I’ve picked out that you can gift to your friends and family in anticipation for the holiday season! 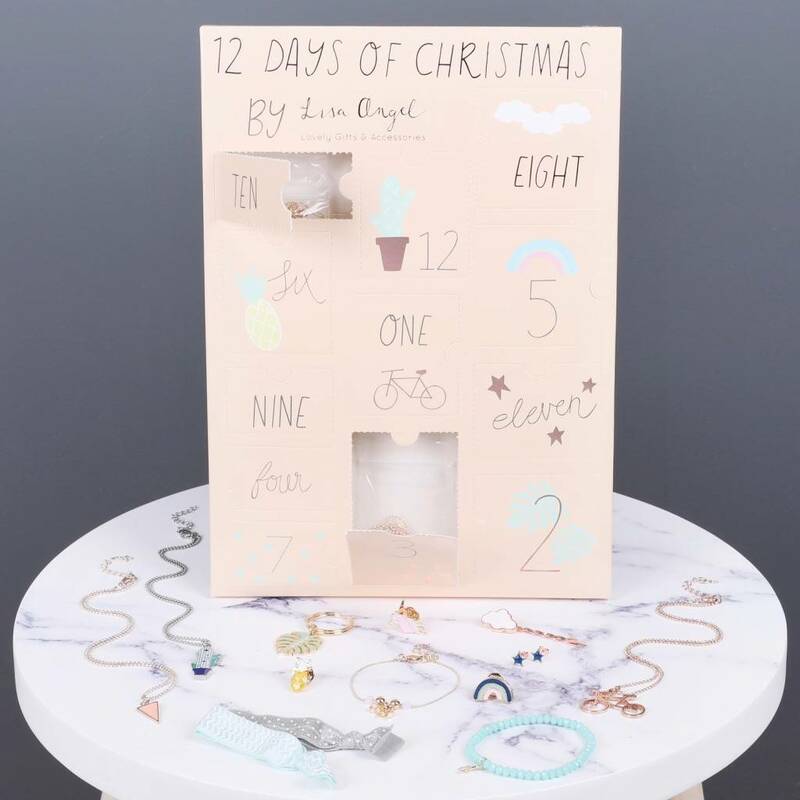 This cute advent calendar from Ciaté London contains all the necessities to create a perfect holiday look. From lipsticks, highlighter, eyeliner and anything else you could imagine, this gift will have anyone ready for their next holiday party. This gift set is perfect for those skincare fanatics in your family. This advent calendar offers all of Ole Henriksen’s most popular skincare products including scrubs, cleansers, creams and more. This will give your skin the much-needed treatment that it deserves. If you don’t want to spend a ton of money on an advent calendar, but still want quality items, this Target option is great. Filled with makeup must-haves like NYX, Nexxus, Elf and more, this gift is the perfect quick pick for the budget-savvy gift giver. This one is perfect for that someone in your life who loves accessories! This tropical-themed calendar is filled with necklaces, pins, hair ties, and tons of other goodies. With how adorable these accessories are, anyone would love to have these in their collection. Does your friend or family member love liquor? Then, this calendar is perfect for the one who has a keen taste for it! With 12 small bottles of vodka, gin, and whiskey, this gift will definitely put a smile on someone’s face before they have to go to that family gathering. Do you know someone who never skips a day of studying or puts in many hours at work and just overall, has an incredible work ethic? With everything from body wash, lotions and body scrubs, this set is great for the person who loves to treat themselves after putting in work. For only $10.50, you might as well buy one for yourself. If you’re not sure what to get someone on your holiday shopping list, these advent calendars are sure to please even the hardest person to buy gifts for. All of these gift sets feature cute mini samples of different products they can try and are definitely going to love! Happy shopping! Sofia is a pre-junior at Drexel University, majoring in environmental science. When not studying, she can usually be found trying to find the best thrift stores in Philly or hanging out with her friends.